Today's card features Jillibean Soup papers and stamps from the Birthday Bisque collection. I have a lot of birthday cards to make in March - including this one for my daughter... the brand-spankin'-new teenager. Make raspberry card base for a 4.25” x 5.5” card. Die or hand cut 4" x 5.25" ivory panel and adhere to card. Die or hand cut notebook page and adhere. 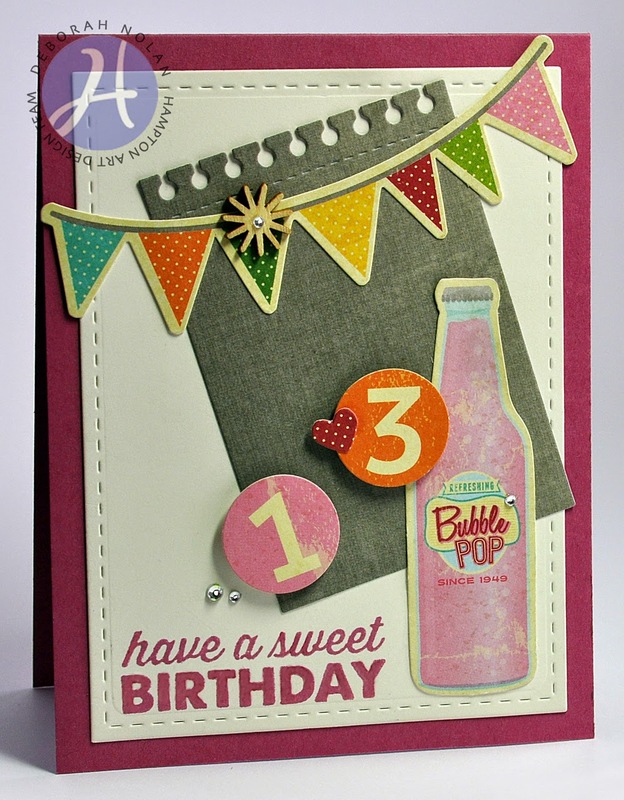 Adhere coordinating die-cut shapes: banner, bottle, and numbers (use dimensional foam tape for the numbers). Adhere coordinating heart sticker, charm and gems.